If you are looking to celebrate your curves with timeless full-figured lingerie, then look no further. Valmont has been in the business for more the 70 Years and with that amount of experience, they have become an expert in not only plus size bras but a variety of styles dedicated to giving women of all sizes 3 major things. Comfort, Function and Fashion. Ever felt unconfident because of your size? Felt limited by your choices in lingerie due to most labels’ matronly and unflattering styles? Tired of bulky utility bras marketed as plus size fashions? Stop this pity party. There is a brand that understands your needs as plus size figures. Celebrate your full figure with Valmont. 73 Years of Tradition in Full Figure Missy and Strapless Bras. What makes their Bras standout above the rest? Valmont understands that plus size figures have different needs, hence, the varied bra and underwear styles. If you want minimal coverage, their plus size bras include a half cup style that doesn’t scrimp on appeal and support. There’s also a plunge bra that’s perfect for low cut tops. 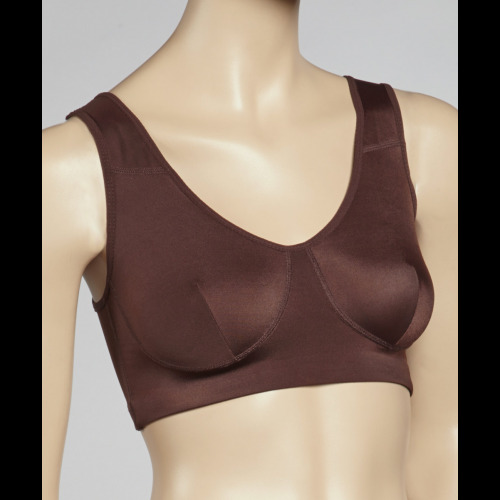 They also include a sports bra to minimize bounce while keeping your breasts shaped. Most styles come with underwire and molded cups for shaping and support. For extra comfort, there are also soft cup styles. Their plus size bras are mostly seamless, so you’ll look shapelier and more lifted under your clothes without telltale bra outlines. Valmont bras also specializes in bridal lingerie. We have a great selection of proven bustiers and longline bras that make your day extra special. We pride ourselves in helping you out during your wedding day providing you with one less thing to worry about. Celebrate your size with plus size lingerie that’s big on style. Why don’t you check out our Valmont section for more plus size options? Absolutely splendid for my dress! Offers ample breast support even without underwires. Imagine a sports bra that keeps you comfortable and supported while you work out. The Valmont Zip-Front Sports Bra features soft, breathable fabrics that wicks away sweat from your skin. Smooth seams to minimize irritation of your skin while you are on the move. This bra is specifically created for low impact activities. One of the most comfortable sports bras ever! I must say that I was pleasantly surprised that this bra was THIS comfortable. I mean during my yoga class I can almost swear that it isn’t there. It is so comfortable, you have to try it to believe it . I highly recommend this bra to my friends! Valmont bras was once called the La Trique Brassiere Company and traces its history all the way back to the 1940s. It has been family owned and operated since its conception in 1940.